Here’s our first giveaway for Jane Austen Day: The Editrix’s own book, Jane Austen Cover to Cover. One hopes our Gentle Readers already know something about it, but if not, it is a review of 200 years of cover design, from the ridiculous to the sublime, of all of Jane Austen’s novels. It’s a nice big coffee-table-type book with tons of full-color illustrations of the book covers. We also included information about the history of the publication of the novels and Jane Austen’s professional decisions and activities as a working author (a subject that never ceases to fascinate us). We have been fortunate to receive great reviews, and at JASNA events many people have told us how much they enjoyed the book. Thanks to all of you! It’s been a fun year representing this book. To enter the giveaway, please leave a comment below with a valid email address in the email field, so that we can get your address if you win. The email won’t be shared. Comments will close at 11:59 p.m. U.S. Eastern time, Sunday, December 20, 2015. We will choose a random commenter to win. Only one comment in the thread will count as an entry. Entering! Would love to read it. Love Austen and would love this book! I have been reading Jane since 1978 when I took a two semester course on her at university. I’ve had a sampling of this book and would love to read it. Oh yes, I thumbed through this in a bookstore. I would love to own it! Jane’s birthday should be an international holiday! Happy Birthday, Divine Miss JA! 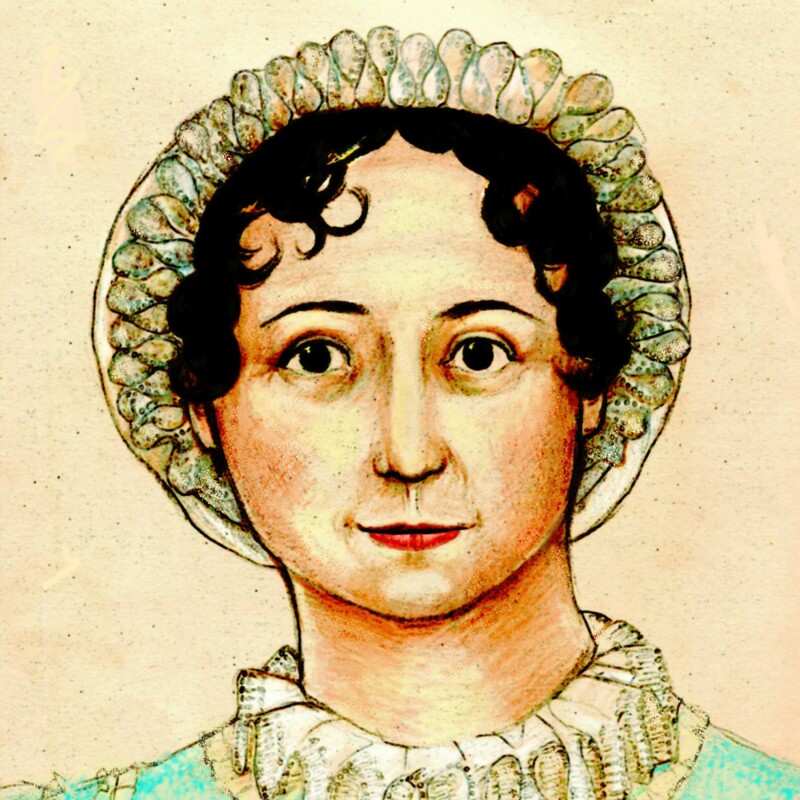 Thank you and Happy Birthday Miss Austen! We enjoyed all the lovely covers posted with your piece in Huffington Post last year. Oh I would love to win a copy of this! The book has been on my “wish list” since it was first announced – thanks for spreading the Jane Austen joy! I would love to win a copy of this! My daughter shares a birthday with Jane. This is a splendid way to start your Giveaway. What a wonderful treat for all of us who love Jane! I would love to see all the ways they have changed the covers to Jane Austen’s books over the years. Just to share with you that I’ve won numerous giveaways over the years where US authors/readers are able to send me the items without me paying any custom fees or tariffs. Maybe it’s just my country or the sender labelled the parcel as gift. If it’s possible for me to enter (I’m international), I would. This book sounds wonderful. Happy Belated Birthday to Jane! I love Jane Austen and her characters. I would love to have the book for my collection. Oooo, I’ve had my eye on this book as a Christmas present for me. Would love to win it. Thanks for the generous gifting. The winner is elysbeths! Please check your email for an email from me. Thanks to all for participating.